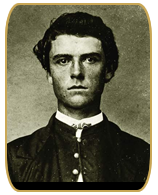 Born William Frederick Cody in Scott County, Iowa, he joined the Pony Express out of necessity after the death of his father. 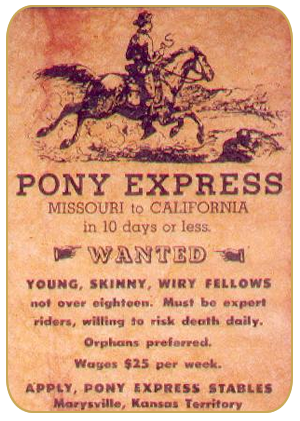 He truly fit the bill for the position, advertised as "seeking skinny, expert riders willing to risk death daily." 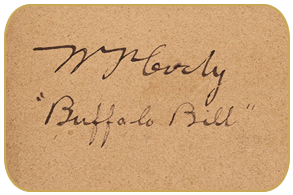 The nickname "Buffalo Bill" was attributed to his hunting duties, providing food from buffalo to construction crews on the railroads. No one could guess that he would become a symbol of our american heritage and our Historic Cary House Hotel was lucky enough to have him visit. He received the US Medal of Honor for his military service as a scout and trailblazer during the Civil War. He was also a well known advocate of equal rights to the native american as well as women. Later in life, he was pivotal in the development of Cody, Wyoming, and his Wild West Shows would skyrocket him to the fame of, what some said at the time, the biggest celebrity in the nation. It was a circus-like annual tour, including skits, storytelling and even horse shows, with such other celebrities as Annie Oakley, Wild Bill Hickok and Calamity Jane. The show has continued to be a source of influence in 20th century portayal of the Wild West in cinema and literature. He died peacefully among his family, and even royal figureheads such as George V, Kaiser Wilhelm II and President Woodrow Wilson were among the many that paid tribute to his passing.